Our guest Ben Fitzsimons’ god son suffered from a form of epilepsy which resulted in recurrent, damaging seizures and fits that could occur at any time. His family kissed him every night worrying whether he would still be alive in the morning. Use prescribed doses of cannabis oil, a product that has been scientifically proven to significantly reduce the severity and frequency of seizures, allowing children to return to a more normal existence. Unfortunately, the second option was illegal in Australia so the family had no option but for their son to undergo major brain surgery – the result – the boy is permanently paralysed down one side of his body and will never be able to enjoy a normal, active life. This is a crazy situation where a proven medication taken from the non-hallucinatory component of cannabis has been denied due to old and outdated views on cannabis as a gateway drug. This has spurred today’s guest to establish WeCann, a company devoted to the development of a safe, sustainable and world-leading medicinal cannabis industry based in Adelaide, South Australia so that future epileptics, cancer patients, the elderly and others can access natural, quality relief without resorting to aggressive surgeries or other treatments that create as many side effects as they cure. He is a man on a mission to heal thousands and change lives and his ‘why’ is big enough to demolish mountains of prejudice, change attitudes and re-educate a generation. 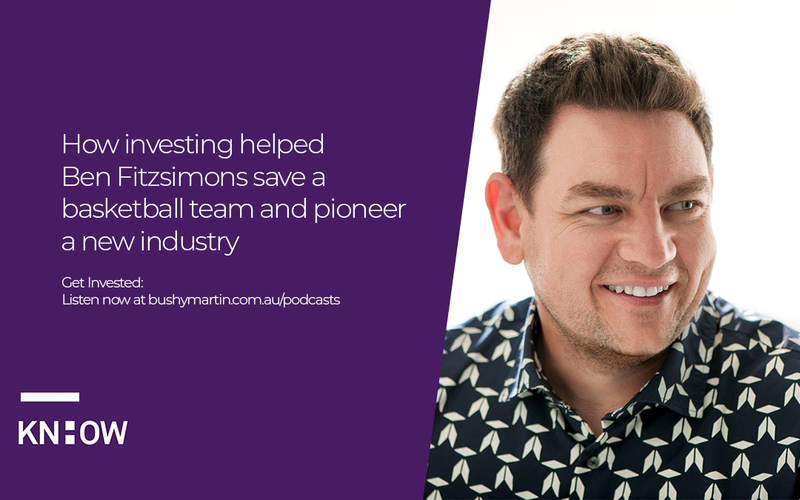 He is also the same man whose childhood love of basketball led him to become the CEO of NBL team the Adelaide 36ers, a club that was almost dead and buried when Ben took over in the late 2000s, and is now back on the map and finding success on and off the court today. In Ben’s own words, he’s a professional dot joiner – he is able to see big picture opportunities where others cannot – and then bring them to fruition. So how is Ben able to invest so much time, energy and money into his ‘Big Why’s’ and driving passions? Because he has time on his hands. How? Because his income needs are looked after without relying on him to generate it. He doesn’t work for money, he gets money to work for him. Ben’s a successful investor. This gives him the time and freedom to pursue and support his passions as his income needs have been met and his future is secure. Ben is the living epitome of all of these qualities – you can hear it in the relaxed pace and clarity of thought expressed in his voice during this podcast. So what does he invest in, how does he do it and how can you learn from him to live life on your own terms? Sit back and enjoy a very enlightening conversation with Ben Fitzsimons.